Women freeze their eggs for numerous medical and lifestyle reasons. If you know you want to have children in the future, but currently want to focus on other areas of your life, such as your career, egg freezing is an excellent option. It is also recommended for women undergoing certain medical treatments that may affect their fertility. Age is another reason women consider egg freezing. As you age, the chance of naturally conceiving reduces, because the number and quality of your eggs drops. Egg freezing is therefore a fantastic option if you wish to preserve your fertility. Egg freezing allows you to start a family at the right time in your life and allows you to focus on your life goals, without feeling the constant worry of your ticking biological clock. It can take away your anxiety about your future fertility and leave you feeling more in control. Concept’s egg freezing cycles include a session with a qualified implications counsellor, which gives you an opportunity to discuss the pros and cons of making decisions to delay when you aim to start your family. Cancer, endometriosis and other illnesses can affect your eggs, ovaries and reproductive system. One of the major benefits of egg freezing before cancer or endometriosis treatment is that it can give women the opportunity to start a family when they are healthy again. As you age, the quality and quantity of your eggs becomes lower, and so do your chances of conceiving. Freezing your eggs helps to preserve your fertility until you decide you are ready to have a child. It also helps to relieve some pressure of feeling like you have to rush into a relationship, just because you’re getting older. If you’d like to learn more about the benefits of egg freezing, Concept Fertility are dedicated to giving you the best possible advice and treatment available. You can make an appointment at any time to speak to our implications/support counsellor. 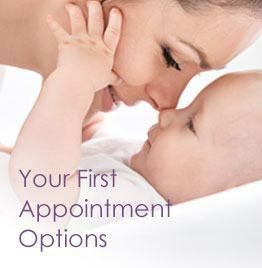 (This appointment is chargeable but may be refunded if you subsequently decide to proceed with egg freezing treatment.) Call us and let us know how we can help you.